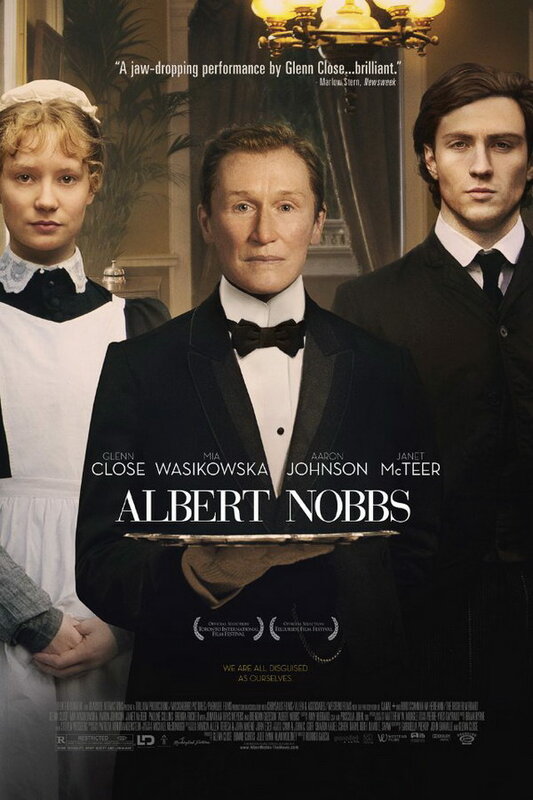 Albert Nobbs font here refers to the font used in the poster of Albert Nobbs, which is a 2011 drama movie that centers on the life of Albert Nobbs, who struggles to survive in late 19th century Ireland, where women aren’t encouraged to be independent. The font used for the movie title in the poster is Bodoni SB Roman produced by Scangraphic. The font is a commercial one and you can view more details about it here. The Bodoni font identified above is not available for free, please follow the link above and purchase the font. Meanwhile, you can take a look at our collection of fonts for cars, pop music and apparel as well as round-ups of new & fresh fonts around the web. In addition to Albert Nobbs, Bodoni typeface is also used in the following logos, movie posters or album covers etc., including: Ice Princess, The Greening of Whitney Brown, Home Again (film), Prisoners, The Holiday, Water for Elephants, Veep, Roger Federer, Beyoncé 4, Lakers, Adam, Serious Moonlight, Midnight Souvenirs, La Mer, Burlington Coat Factory.